In September, the Society of Cartographers is going to be holding their 45th annual Summer School event in Southampton. It's interesting looking through the programme to see just how much of the event is about data, and much of it coming from sources that didn't exist just a few years ago, from OpenStreetMap, the new UKMap and of course the various Ordnance Survey datasets that are available to organisations who can afford to pay for them. I wonder how the content of this annual summer school has changed over the years since it started, as more and more data sources have become available for cartographers to use? If you're in the UK and are interested in making maps, the event (7-9 September) looks like it will be a good place to see where cartography is heading, get some hands on experience in the workshops and also network with others in the industry. It is looking like June is going to be quite an interesting month for participation, with a couple of projects being set up to focus on certain parts of Drupal for the month. Last week, Advantage Labs announced Geo June, a month of focused development on the geo module. The geo module has a lot of potential to become the basis of the GeoCMS that Drupal should be (as long as the module stays generic enough), and Advantage Labs are keen to get more people interested and involved to help make that happen. During the month there are a number of physical events, but you're also encouraged to share your use cases and join in day to day with the IRC chat in #drupal-geo. The Drupal User Experience Project also yesterday announced the launch of Microprojects to encourage user experience (UX) professionals to get involved in small bounded problems, working with a Drupal developer to implement their designs and suggestions for improvement. This seems like a great idea, not only because it's breaking down some quite large problems into bite-size manageable chunks, but also to get some outside experts - who may not have previously used Drupal - involved in the community. If you're interested in either of these areas (or any of the other sprints which are happening), why not jump in and get involved. Having not spent much time on the Geo project yet, I'm looking to spend some time getting to know it in June and hopefully help to push it forwards, as well as starting the rewrite of the KML module to simplify it as a views display type instead of a bundle of custom code. 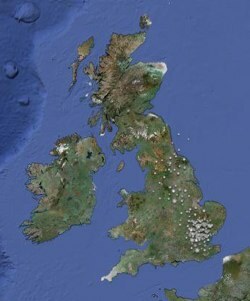 The south of Britain has today seen its first proper snow fall in quite some time. While London is experiencing its fair share of it, we - along with the rest of the UK - are having the snowfall mapped out courtesy of Twitter users and the short weather reports they are tweeting. This is a good example of Twitter being used in situations where an idea has grown organically into a way of collecting structured data from the masses, and where someone has taken the idea and run with it to map the data out. It's the kind of thing that I think would really help in disaster relief situations, if enough people had access to Twitter still, and in fact the attacks on Mumbai showed that Twitter was used widely to spread eyewitness news of what was happening. Check out Paul Clarke's writeup for a great rundown on how all this progressed (more than the passing comment this post gives). Great to see there are smart people at the heart of the UK government's web strategy - Paul is working on making Directgov a better place. A little while back I was having a pint or two with my brother in a local pub when he spotted the offer of a promotional t-shirt for customers who were drinking the Fullers Discovery Blonde Beer. By the end of the night, they kindly gave us two of the t-shirts to take home (we got the impression they had quite a few left to give away). 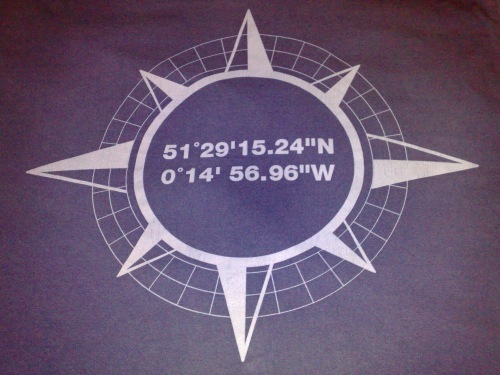 The t-shirts had marketing for the Discovery beer on the front and, in the spirit of the name, also had a compass on the back with a pair of geographic coordinates within it. Recognising them as coordinates in the London area, I didn't think too much more about it, presuming they were the coordinates of the pub that was selling the beer, or of the Fullers Brewery that produced it, but it wasn't until the other day that I actually tapped the coordinates (51º29'15.24"N, 0º14'56.96"W) into Google Maps and - after switching to the satellite imagery view - discovered that this was all a part of the brewery's larger marketing strategy. 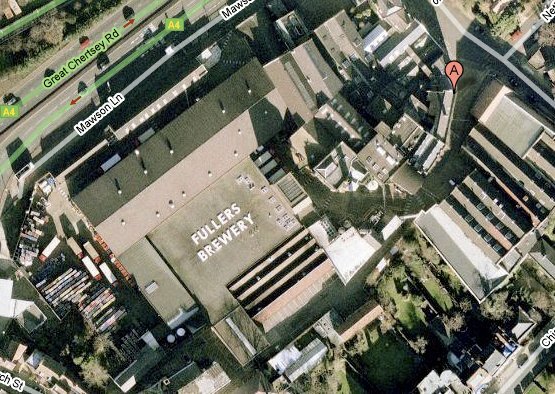 Presumably not too far off the flight path for Heathrow airport, and always under the attentive gaze of the electronic eyes in the sky, the Fuller's Brewery had used the prime marketing real estate of their roof to advertise themselves to the world. Of course this isn't a new strategy, with many other companies and organisations doing the same thing around airport areas for year, but the coordinated (excuse the pun) approach did strike me as a nice way to market their product. 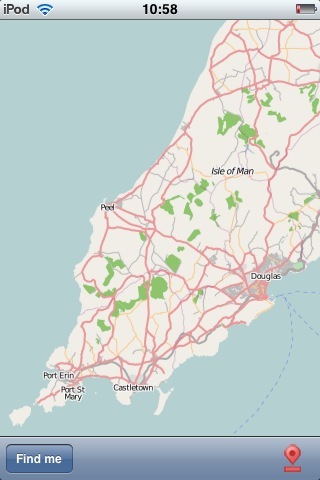 When I was looking for old maps of the Isle of Man a couple of years ago, I came across a great source of old maps of towns across Britain and Ireland (as well as a couple of the Isle of Man and other places in Europe). I didn't mention them in the post (I perhaps hadn't found them at that point) but I've recently had a bit of an interest in the history of the area around where I'm living, so went back to this supplier to order some old maps of the Elephant and Castle area of London. Alan Godfrey has been building up an impressive collection of reprints of old Ordnance Survey Maps from the late 19th Century and early 20th Century. The maps, collectively known as The Godfrey Edition, are reproductions of original maps, often scaled down slightly, but printed in extraordinary quality considering the age of the originals. Most of the maps are highly detailed, taken from the 1/2500 plans and reprinted at about 14 inches to the mile. They cover towns in great detail, showing individual houses, railway tracks, factories, churches, mills, canals, tramways and even minutiae such as dockside cranes, fountains, signal posts, pathways, sheds, wells, etc.. Each map includes historical notes on the area concerned. Many also include extracts from contemporary directories. The maps are neatly folded, often with an early photograph on the cover. The maps are ideal for local historians, transport historians, and family historians, or simply those with an interest in the town they live in or have visited. 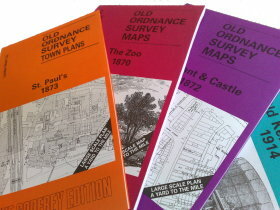 The maps are very good value and cost just £2.25 each. 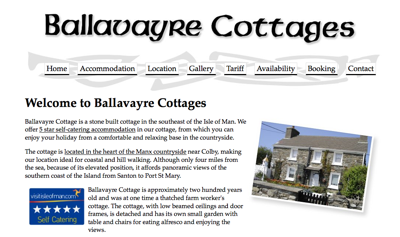 Whenever I've bought maps from them (their whole catalog is online in their map shop) I've found them to be very responsive, with the maps often arriving the next day. 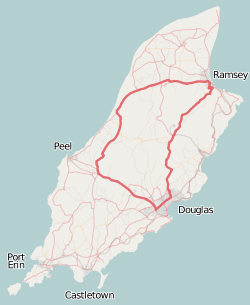 Alan Godfrey was also open to the use of names from old maps for the OpenStreetMap project (where they were still relevant, as they often were in Peel in the Isle of Man, where much of the historical street layout still exists). So, if you're interested in the history of the area around you, I highly recommend these maps as a great start to learning more about how things used to be.